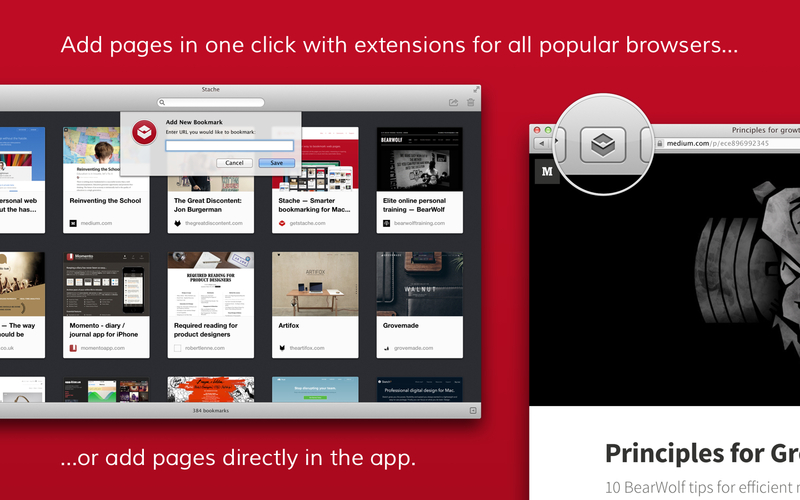 If a page is useful, Stache it! 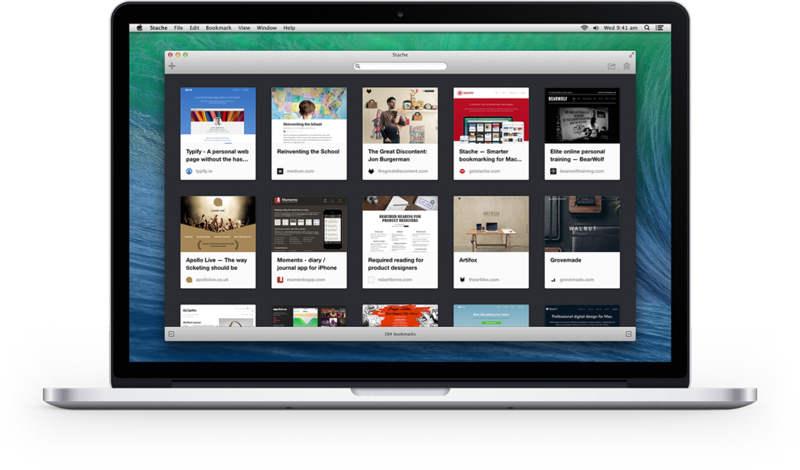 Say goodbye to cluttered browser bookmarks and overwhelming reading lists. In one click a web page becomes part of your personal repository of useful information, archived, fully searchable and accessible in seconds from all of your devices. 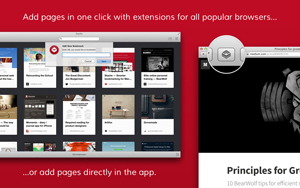 Stache pages you find useful, interesting or inspiring in one click with the Stache browser extension. 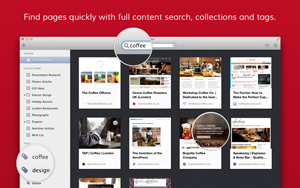 Screenshots of each page help jog your memory and quickly identify the page you’re looking for. 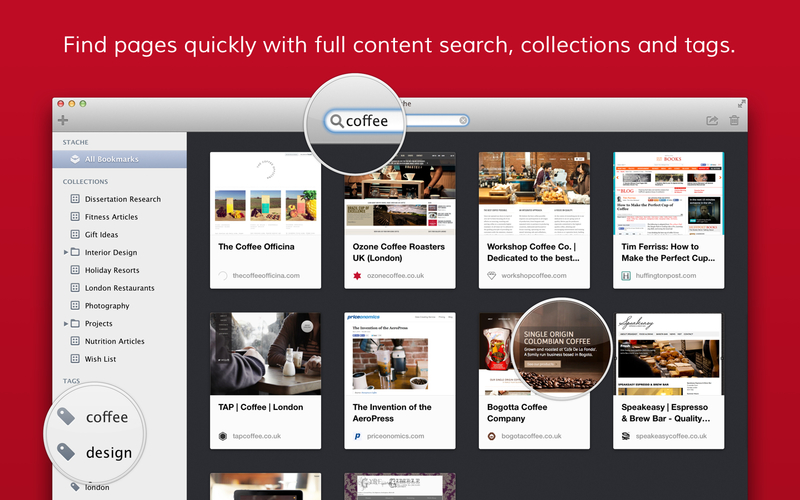 Search the entire contents of every page to quickly find what you want when you need it. 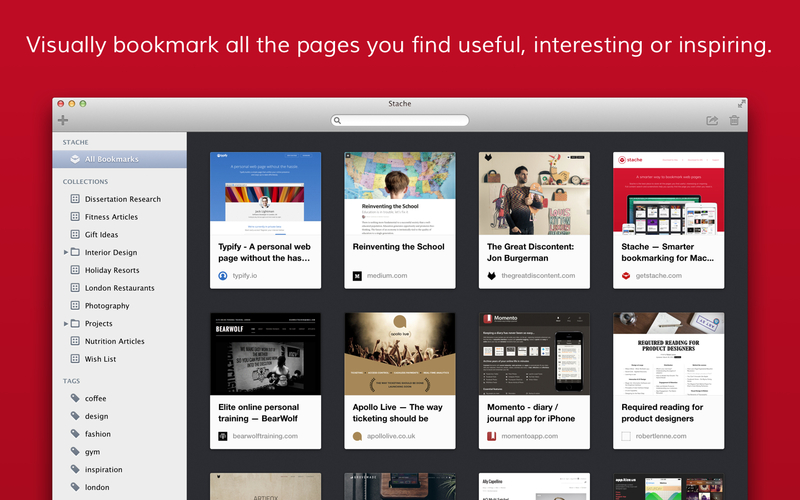 Group and organise bookmarks with folders, collections and tags to help you find them faster. 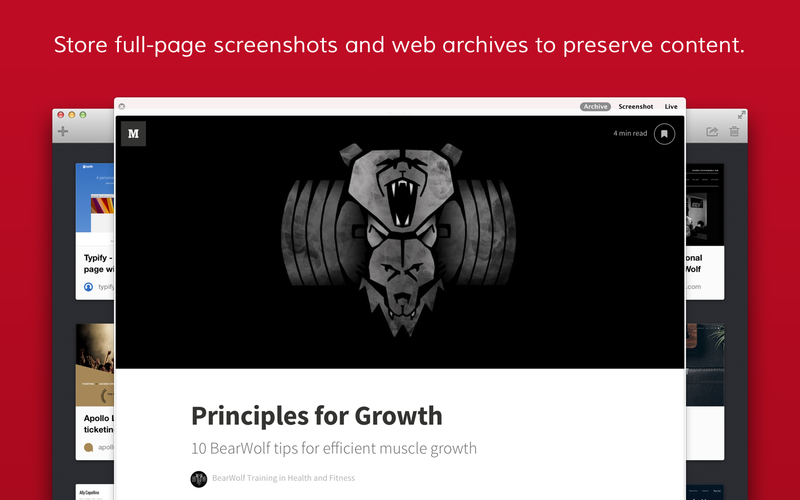 Full-page screenshots and web archives are stored so design and content is preserved. 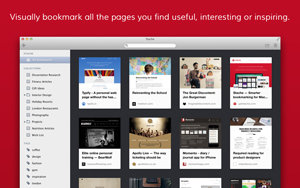 Import and export your bookmarks whilst retaining your folders and collections.